By now, you've all probably heard and reacted to the news that Nintendo will not have a massive E3 press conference. Those beans were spilled a week or so ago during their most recent financial briefing. Last night, press invites went around to select outlets for a behind-closed-doors event. We were among those able to land an invite, and we've elected to share a bit of what was offered. 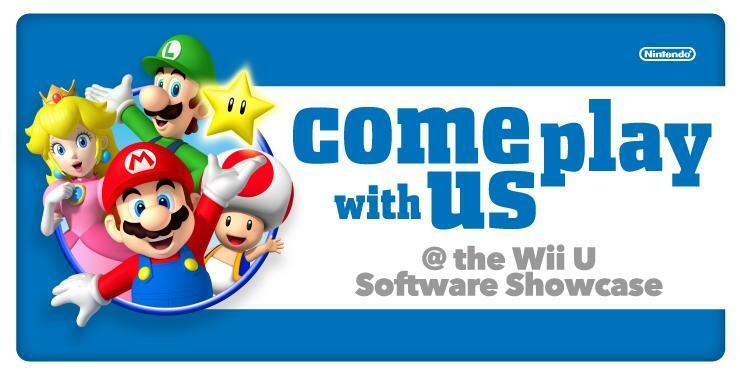 This year, Nintendo is taking a different approach to E3. We're giving you the chance to get closer to the games through a unique hands-on experience at our booth before the show opens. Nintendo has eschewed the massive, streamed everywhere and targeted towards everyone press conference that console makers have done for a long time now, and they are going with "a different" approach instead. The media briefing will still happen at E3, though not during the show's official hours. We'll still have access to games for previews. The behind-closed-doors session will feature remarks from Satoru Iwata and Reggie FIls-Aime. If I had to guess, I'd say that Nintendo will show a Direct Presentation directly before the preview. They'll present the titles and footage to the world, and then they'll open up the booth to a media hands-on period. It'll be interesting to see how well this turns out in the long run. We could see the beginning of the end of big budget press conferences, or we could see Nintendo wishing they'd stuck to the old formula. I assume there will be a similar event for the Nintendo 3DS, though time will tell.